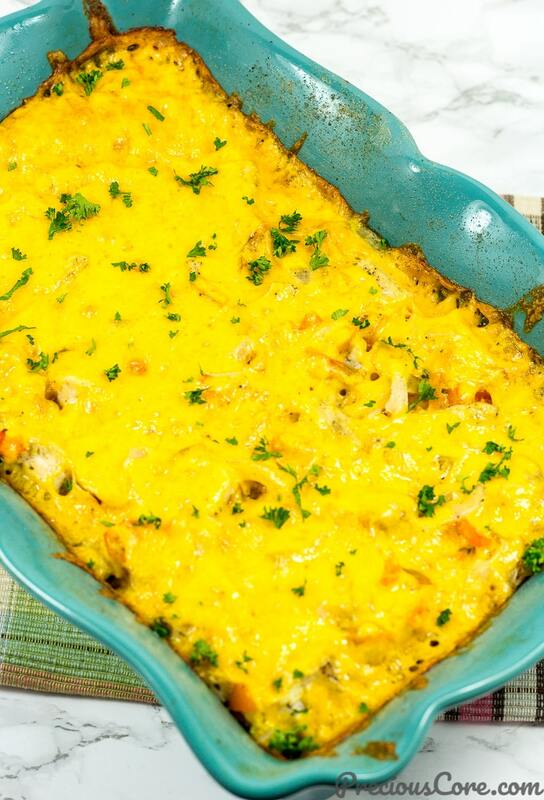 This baked chicken and rice casserole is made in one pan with very few ingredients. 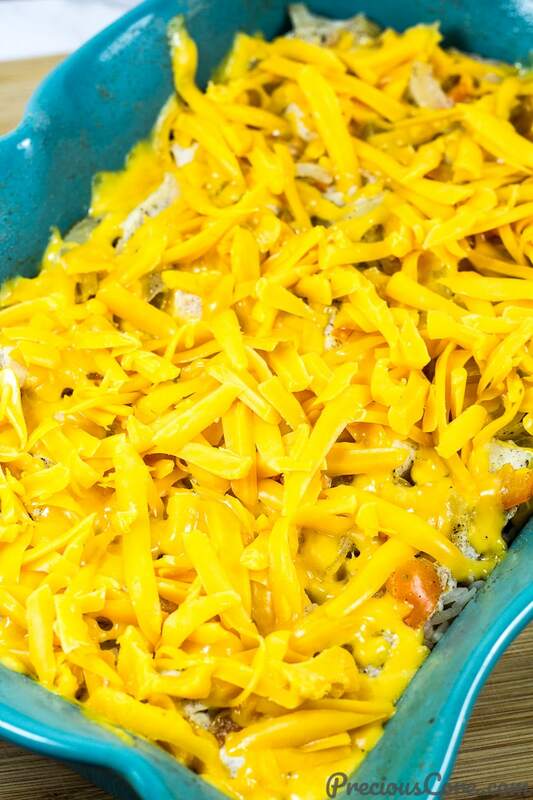 An easy cheesy dinner the whole family will love! Scroll down to the end of the post for a GIVEAWAY from Crystal Farms®. I have a little cheese-y story to tell ya. I never used to like cheese. I mean the cheese in the Western world that comes in blocks, shreds, slices or other forms. They meant nothing to me because growing up in an African home, we never made meals with cheese. The only cheese I knew was Swiss cheese spread which I slathered on my bread and enjoyed. That’s all I knew about cheese. 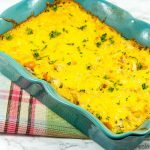 And now, this Baked Chicken and Rice Casserole which is cheesy, easy-to-make, tasty and to die for! When you make a meal and your 6 year old exclaims, “make this for my birthday!” then you know you have a WINNING DISH! 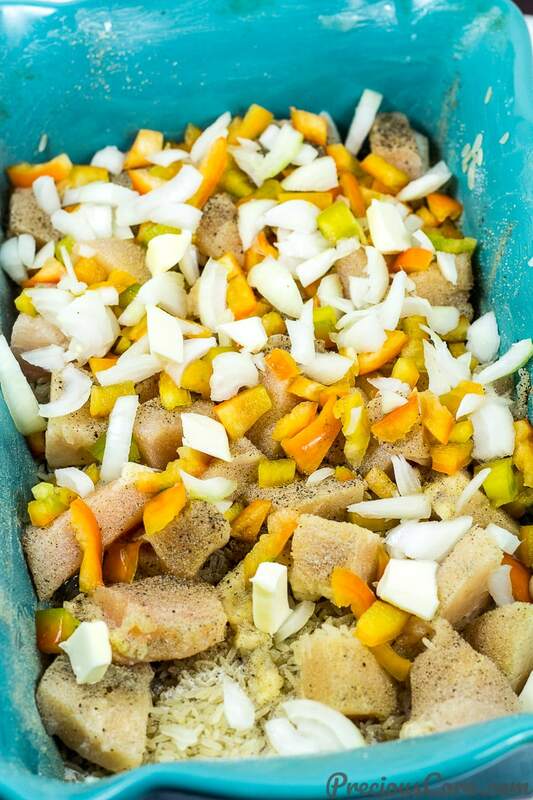 All you have to do is place some rice, chicken, onion, bell pepper, garlic powder, white pepper, salt and butter in a baking dish. Then you pour in some water, cover with aluminium foil and bake till done. Add the cheese which is like the icing on the cake then bake uncovered for a few more minutes. 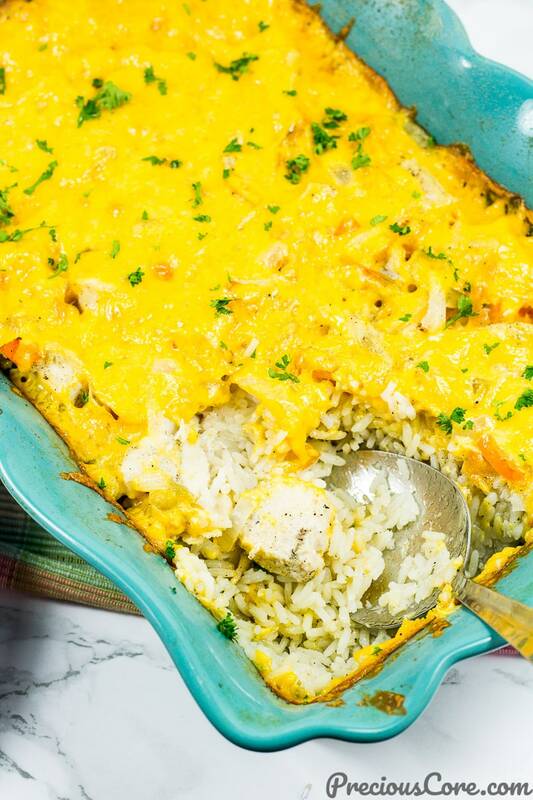 Rice-y, chicken-y, cheese-y goodness the whole family will love! I used Crystal Farms Block Cheese (Mild Cheddar) in this recipe. Crystal Farms® is committed to providing the highest quality products made with few preservatives. You can find Crystal Farms® cheese in the refrigerated dairy section of your grocery store. Go get the ingredients and make this easy weeknight chicken and rice recipe. Enjoy! 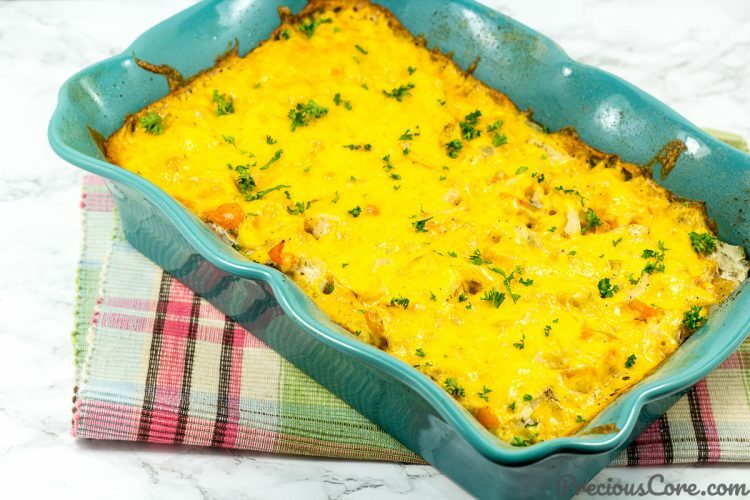 This baked chicken and rice casserole is made in one pan with very few ingredients. 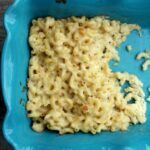 An easy cheesy dinner the whole family will love! 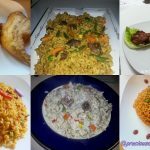 All you need to do is combine all ingredients in an oven-safe bowl and bake for an easy one-pan chicken and rice dish. Enjoy! Rub a casserole pan with butter then preheat oven to 350 degrees F (180 degrees C). In the casserole pan, put in the rice, chicken, garlic powder, white pepper, black pepper, chopped bell pepper, chopped onion, salt and water. Top with the remaining butter (cut into little pieces). Garnish with parsley if you like and serve warm! 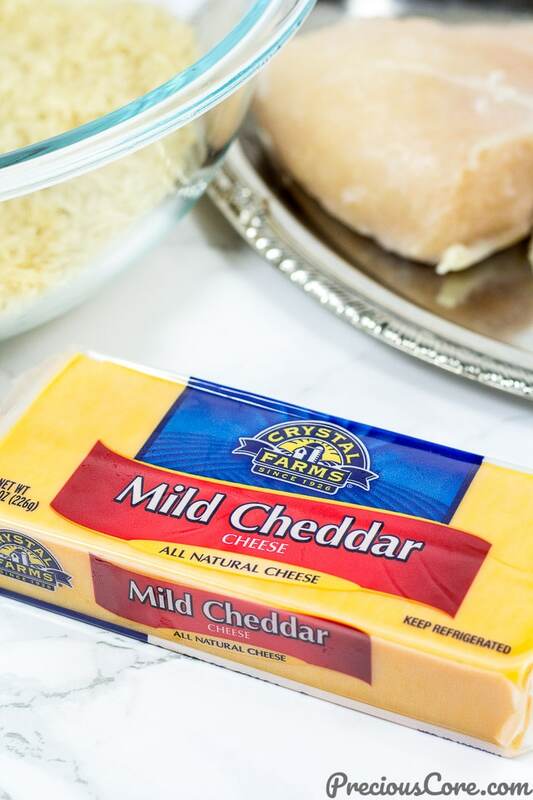 Visit the Crystal Farms® Cheese page and take a look at all the amazing cheese products. 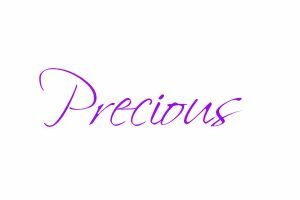 CLICK HERE to visit the page. Come back here and leave a comment under this post, telling me what cheese you will choose and which recipe you will make with the cheese. That’s all you need to do. One lucky winner will be chosen to receive 3 Crystal Farms coupons mailed to them by the Crystal Farms team! The winner will be notified by email. The giveaway ends on November 26. This is definitely a keeper that my family is going to love! Thanks Julie! Hope you enjoy! 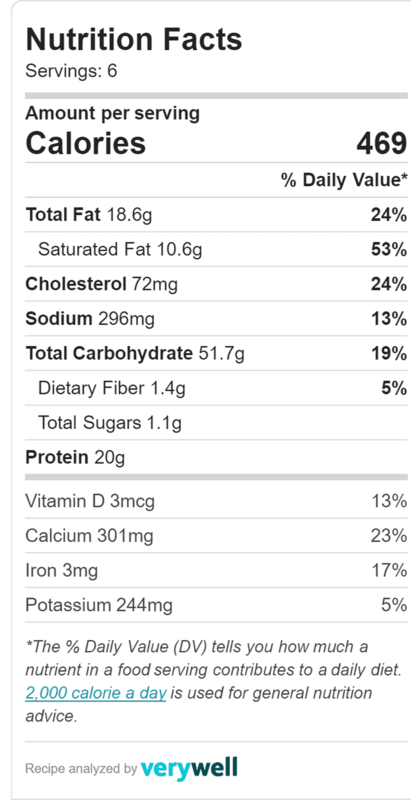 I just bought a ton of chicken breast on sale, so I would want to make the cheesy chicken enchiladas with their shredded three pepper cheese. 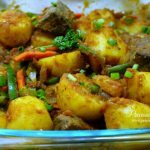 Looks appetizing and I totally relate with you ignoring cheese during your African days, confessions of most African women. Stay blessed, Sis. I know right. I just didn’t know what to do with cheese. Thanks hun. I’d love to make the Chicken Roulade with the Crystal Farms Shredded Asiago! I would choose cheddar and make buffalo chicken. 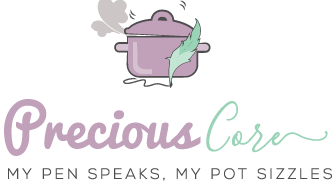 This recipe would definitely be my number one choice and the second recipe I would make is the spinach & mozzarella stuffed chicken so I would choose the Crystal Farms Mozzarella Cheese. You have great choices Carol! Thanks for your kind words! I would make the Chicken Roulade with the asiago cheese! You can’t go wrong with chicken roulade! I would make the bacon cheddar dip, but use the three pepper cheese instead. Now i am craving for slow cooker Lasagna so i will chose Crystal Farms Mozarella cheese and Crystal Farms parmesan cheese for my dish . 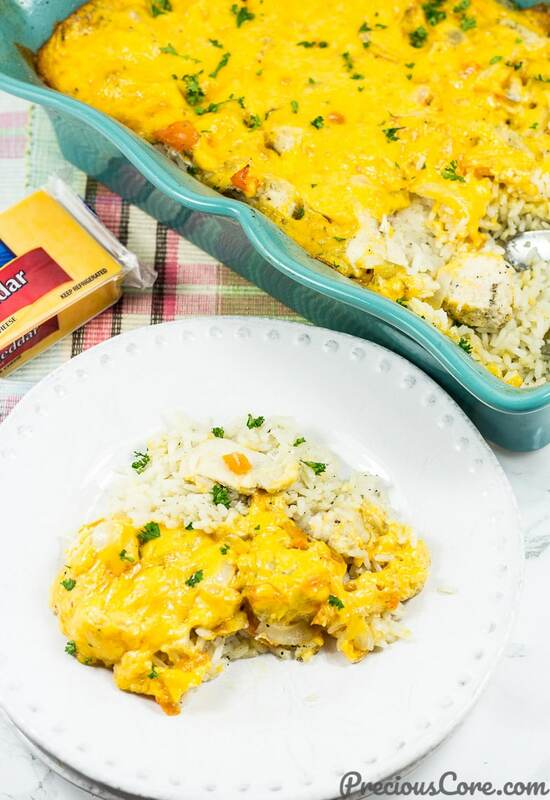 Then my second option will be your yummy one pan chicken and rice dish so i will definitely need Crystal Farms chedar cheese . Thank you for this delicious quick easy recipe. 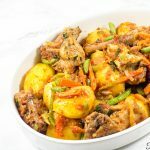 This is one of the best dishes I take to potlucks…so easy to prepare and it always receive rave reviews. I use the Crystal Farms Mozarella cheese in my dish. So glad to hear that, Cheryl!